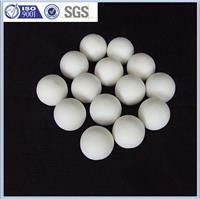 Refractory ceramic ball usually used in shift converter and reformer in ammonia plant. Refractory ball has a lot of advantages. Good performance of resistance high temperature, resistance high temperature up to 1900℃. Plastic bag, each bag 25kg net.